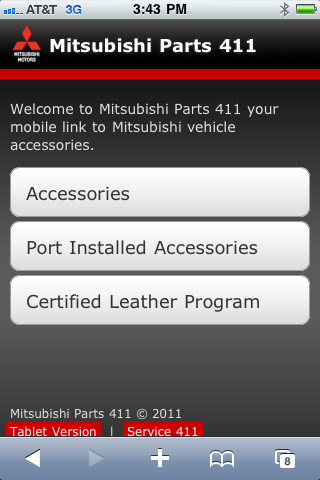 piXvfm created three mobile information web-based (cloud) applications for Mitsubishi Motors. 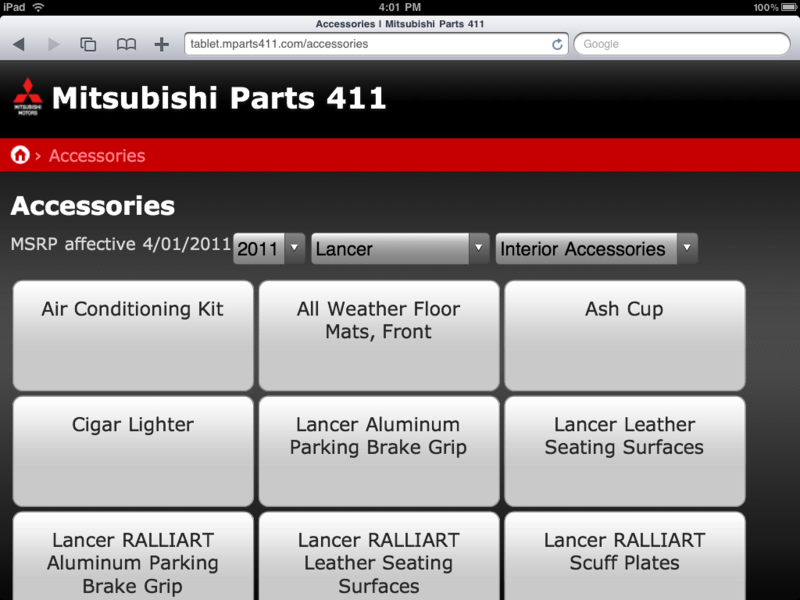 Titled mSales411.com, mParts411.com and mService411.com, each mobile application gives the Mitsubishi customer (or potential customer) and/or dealer staff access to a full range on information on Mitsubishi vehicles, parts and service. These mobile tools allow access to over 2000 pages of information, but can be easily updated from various spreadsheets for each topic. 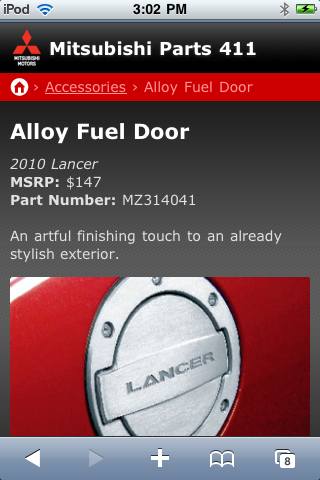 This makes it easy to keep the information current and valuable to the user. piXvfm has created a modular format for this type of site allowing us to create and populate an information application in a manner of weeks. Each web-based mobile site determines the type of device accessing the information and delivers the content in the appropriate format for either a desktop, tablet device or touch device. 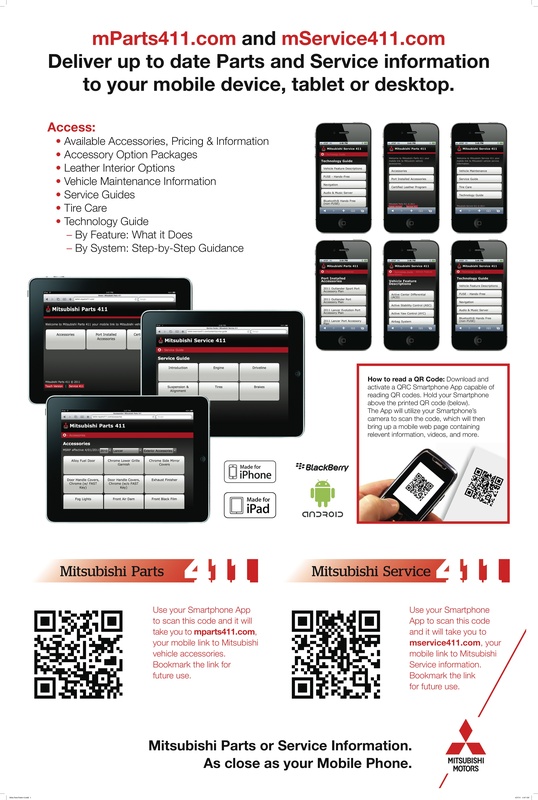 Every Mitsubishi vehicle sold has a hang tag on the mirror that includes a QR Code (Quick Response Code) that when scanned by a smartphone connects the mobile device to Mitsubishi's Mobile Parts App - mParts411.com. 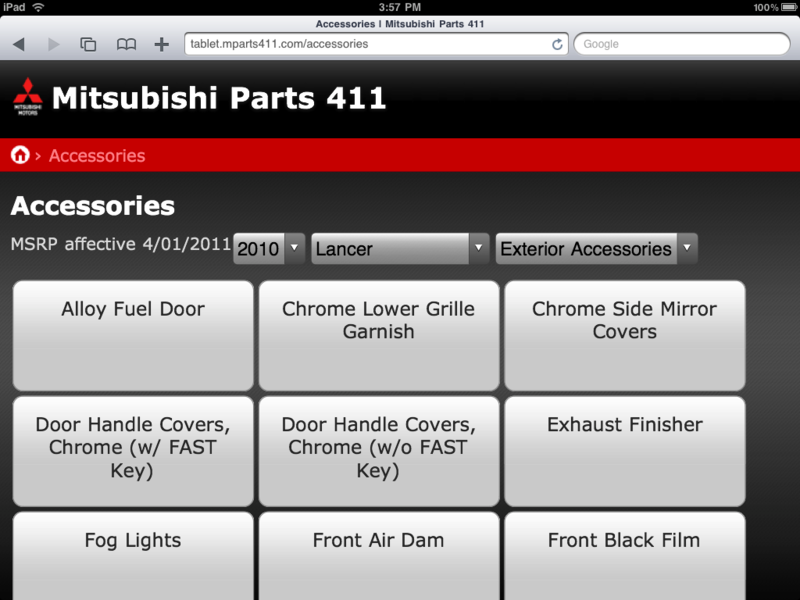 We recently added "How to Videos" to mSales411.com and mService411.com. 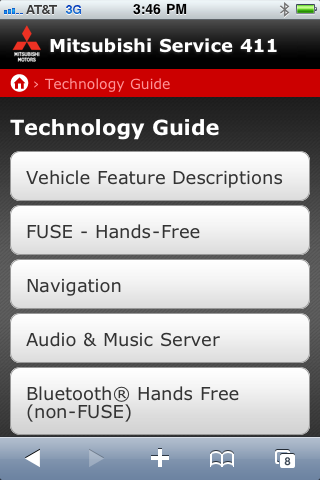 These 16 videos give the vehicle owner immediate access to how to work various devices and technologies at the point of need - in the vehicle.